DZ09 smart-watch is a popular budget Bluetooth smartwatch with Pedometer and GPRS features. It is not a new product per se, but gets promoted in stores from time to time. I have used mine for long and thought it wise to share my review, tweaks, tips and personal experiences. The review would be patterned like the one I did for Hame 3g Wi-Fi router that’s packed with tips, tweaks and tutorials. Today’s review (as already outlined above) would take another pattern. This is because DZ09 SmartWatch is not a new product, but one that has been in the tech market for more than 2 years already. We’ll prioritize the tips/tweaks part over the intro-specs section. Using and playing around DZ09 smart watch for this long has exposed its many limitations, which I’ll be sharing tweaks for in this section. 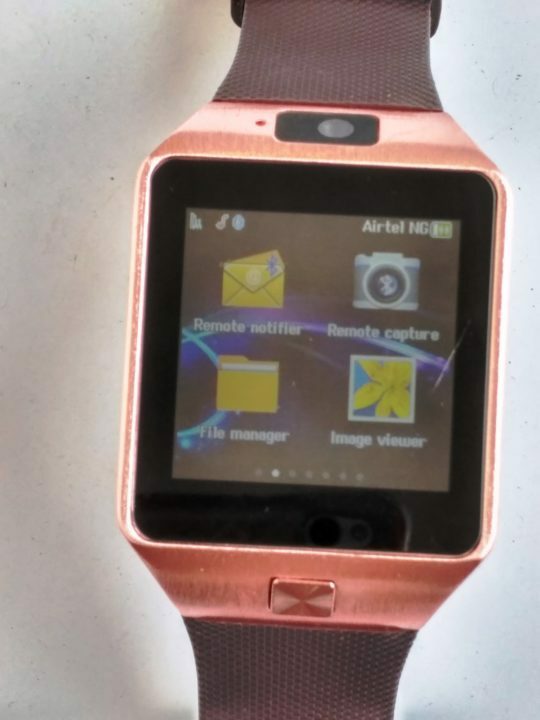 DZ09 Smart watch usually come with icons for WhatsApp, Facebook, Twitter and mobile internet browser. Clicking on any of it would launch the prompt to install app libraries, which would end up installing the mobile browser app and others as a bookmark (screen shortcut) to their official websites on the mobile browser. Extremely poor battery life might force you to want to remove these apps and return them to mere shortcuts as they were by default. Now, there’s no clear-cut means to remove them, hence this tweak. Navigate through the screen icons and locate file manager. click on it and select memory card by clicking on it as well. Locate the folder names zmaee and click on it. Select lib and then 000004d1 folder(s). click on options from the left-below section of the screen. Select delete to obliterate the LIB and 000004D1 folders. Return to main icons to confirm the apps are now back to mere shortcut again. It is hard to pin-point the exact operating system on this device, although we choose to call it a highly modified version of Android operating system, like the one that’s loaded on Nokia X devices. 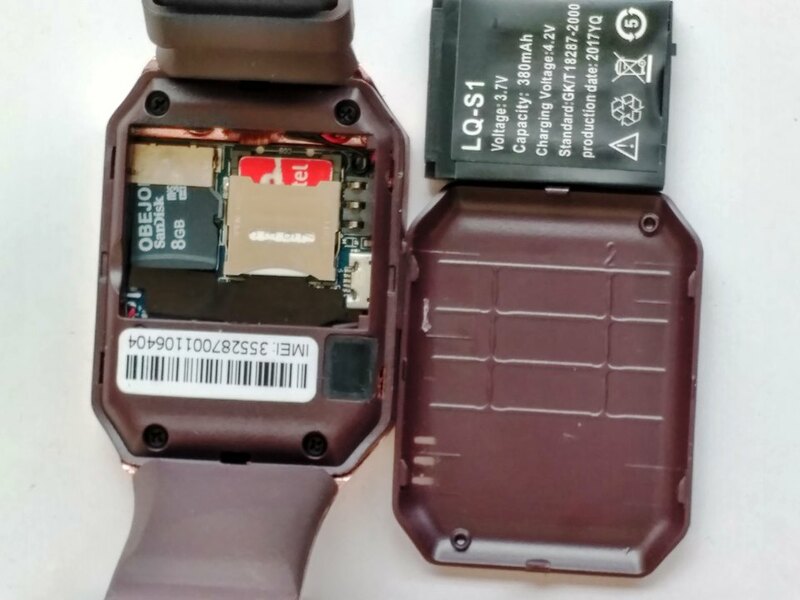 Being someone who has created an extensive tips on how to reset forgotten passwords on Android phones and tablet devices, I thought it wise to share same for DZ09 Smart watches. Open the rear cover and fast-remove the 380mAh battery. Wait for 8-15 minutes and put back the battery. Place the rear cover back and turn on the device. Use any of these Chinese default passwords starting from the ones in bold letters: 1122, 9999, 1234, 0000, 3344, 2468. You can attempt the 1122 code multiple times before diving into any other. This is because there are many similar smartwatches in circulation, but any of these code(s) (if not specified in the manual) should work for them. Switch to another password of choice once the default password is accepted. Improving Battery Life: Honestly, the max use-time I’ve been able to get with this is just a little above 4 hours on median screen brightness. So to harness the smartwatch to its fullest potential, since I normally use it as a recording device for meeting and seminars, I simply remove the SIM-card (or turn on flight mode to completely turn off data/GPRS services), turn off the Bluetooth and reduce the screen brightness to a usable minimum. Faster Surfing: Surfing the internet on DZ09 Smartwatch is never a great experience for first-time users. What I did, was to bookmark: Google, Nairaland and my favorite websites to save me the stress of typing them every time. You can go a step further to set Google as your homepage, that way – the internet browser loads Google search bar each time you launch the app. For quick overview lovers, DZ09 smartwatch is unbranded and so does not have an official website. It comes with a user manual, a 254mm (or 10 inches) USB charging cable, the smartwatch itself, and the removable battery inside the pack. It is compatible with iOS and Android and runs on an operating system that can be best-described as a forked version of mobile Android OS. The full specifications and features is outlined below for your perusal. Color: available in Black, white and bronze (which is used for this review). Screen size: 1.56 inches with 240 x 240 screen resolution. Display type: TFT LCD with Muti -Touch support. Design Form: a rectangular-type smartwatch. Body size: 58.5mm x 39.5mm x 12.3mm with a stainless steel casing. CPU: MTK6260A with 533MHz processing power. Memory: 128MB RAM, and 64MB internal storage memory with support for microSD card up-to 32GB. Connectivity: GSM, GPRS (band 850/900/1800/1900), Bluetooth 3.0 and USB data transfer. Media Support: Audio playback (loud-speaker), Bluetooth remote music playback, and a tiny Mic for calls/audio recording. Battery: 380mAh, 3.7V Li-ion battery with a charging voltage of 4.2V. Special Functions: Sleep Monitor, Pedometer, Sedentary reminder and a voice recorder. At a glance, DZ09 smartwatch features a functional: Pedometer, sedentary reminder, voice recorder, Sleep monitoring app and a phone/watch tracking app. In details, there is a phone dialing app, text messaging app and built-in support for push messages, altitude metering, sleep tracking and Bluetooth remote functions. The Anti-lost app helps you locate your phones (or connected devices) when it gets disconnected from the Bluetooth or is out of the smartwatch’s reach. Other notable features are just the regular functions of smart devices. There is a full screen clock, a calculator, a stopwatch, a calendar and a remote notification app. The retail price for DZ09 smart watch ranges from $10 to $20 (or ₦4,000 to ₦7,500 for Nigerian buyers), depending on the online store you’re buying from. DZ09 smartwatch is available on all popular online shopping malls and ships world-wide. Nigerian shoppers can buy from Jumia, Konga, Yudala and/or any of the top online shopping malls, while international shoppers can buy from Amazon, Gearbest and Aliexpress.com. Whenever possible, it is best to buy from sellers with a good number of positive reviews, as doing otherwise could result to buying a very poor quality product. Since this product could be new to some of our readers, I have decided to share some unique videos that will help you navigate through the smart watch as a first time (or prospective) user of DZ09 smart watch. 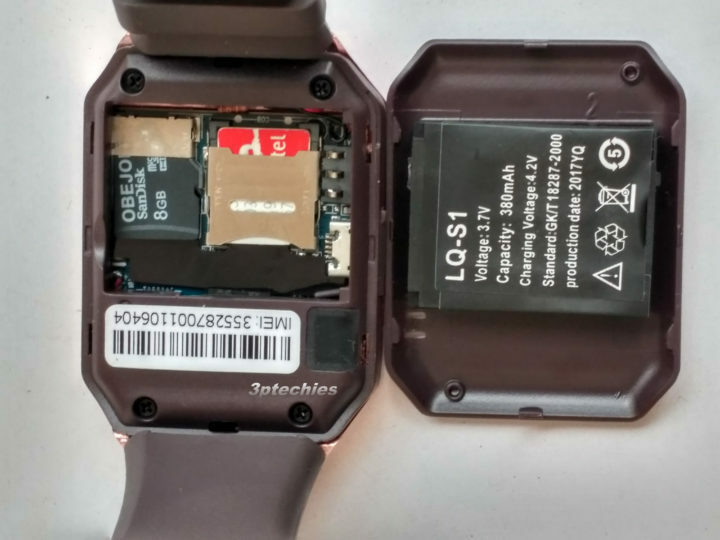 This one from Underground Tech teaches everything you should know about DZ09 smartwatch as well as answered every technical questions that first-time users normally ask. There’s another from Gizmo Advices that explains how to install third-party apps to the smart watch. Although We haven’t got the need for it, but thought it wise to share for some users that would like to play around with extra apps. Here comes the part you have been eagerly waiting for. I am going to be very brief here since I have already covered the features in previous heading. For a smartwatch of this price-range, We’ll like to state that it’s really a value for the price. Our biggest disappointment however, is the battery performance that leaves so much to be desired. We’d have preferred another model with a superior battery and maybe, a higher price tag. Giving the option to turn off GSM and data services completely would have come in handy for some of us that prioritizes battery life over data features. Apart from the poor battery life, everything else in DZ09 smartwatch works as advertised and is really a value for the money spent. We love the sport and fitness features and was really impressed with the remote Bluetooth function that lets one capture high res. photos from phones and/or Bluetooth-enabled tablet devices. The ability to synchronize phonebook, call log, messages and music from connected phones or tablet devices is another function to love on this tiny gadget. the Bluetooth notification feature works perfectly. Anti-lost app works and its a lovely addiction to the watch. Pedometer, sedentary reminder and voice recording feature makes it a kill for $10. We love the ability to make/answer calls directly from the watch. a Sturdy build with a slight increase in price is highly recommended. The battery performance is annoyingly poor. A dedicated support forum would come in handy. Could improve on apps control features: by allowing users to add/remove apps that aren’t useful to them.